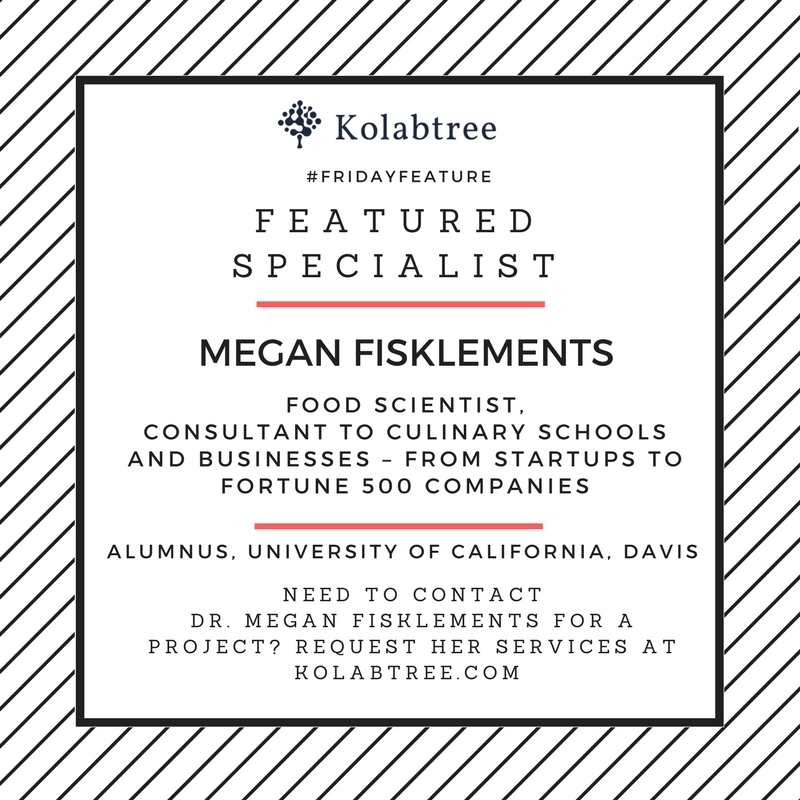 Megan Fisklements is a highly experienced and passionate Food Scientist, with a PhD from the University of California, Davis. Her industry experience includes research planning, methods development, rapid prototyping, product development, patent applications, product upscaling, business-to-business and co-packer relations, and brand ambassadorship to both businesses and consumers. She has hands-on research experience in reduction and elimination of eggs and dairy ingredients in a variety of food systems, food emulsion biochemistry and physical chemistry, fermentation and coagulation within non-dairy systems, dehydrated vegetable and fruit microstructures, peri- and post-harvest almond quality quantification (including fieldwork), mammalian and bacterial cell biology, materials science and engineering, proteomics, and biomedical research. She’s performed extensive coursework in plant physiology and post-harvest biology, preservation and maintenance of fresh-cut quality, and thermal and non-thermal advanced food processing technologies. Holding certificates from the Better Process Control School and manager-level ServSafe(tm), Dr. Fisklements is also experienced with JMP statistical analysis software, including multivariate experimental design (DOE) and results interpretation. She’s trained, managed and mentored more than a dozen research assistants individually and in teams. She has a proven record of cross-disciplinary leadership and teamwork, bridging between chefs, food technologists, protein chemists and biochemists, and executives. Her interests include: food-related global problems and how to ameliorate them, evolutionary biology, human biome trends, organic and DIY food movements, and being a resource for non-scientists’ food science questions. In her words, “Cabbies, party-goers, former neighbors who call me randomly, retail salespeople; I deeply enjoy talking about food science with anyone even remotely interested. Want to get in touch with Dr. Megan Fisklements for a project? 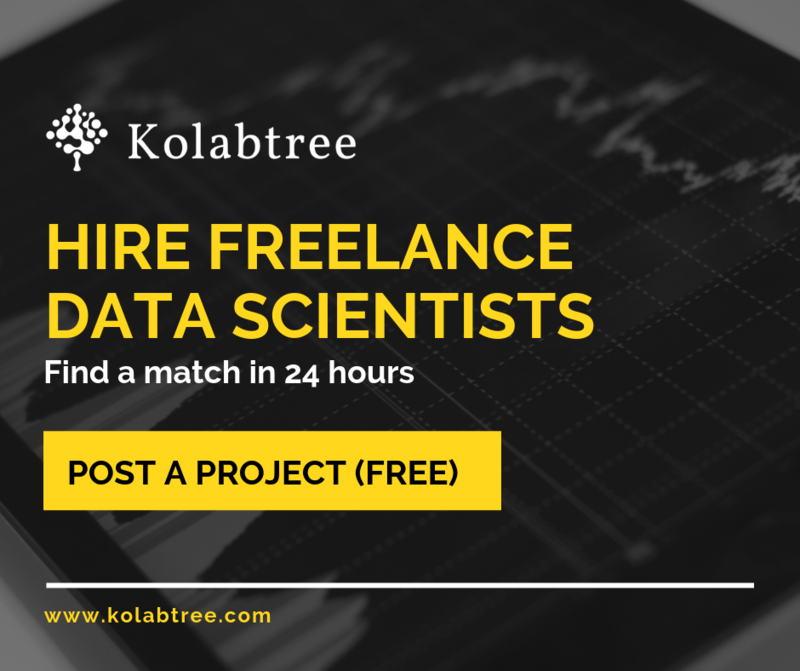 Request her services on kolabtree.com.